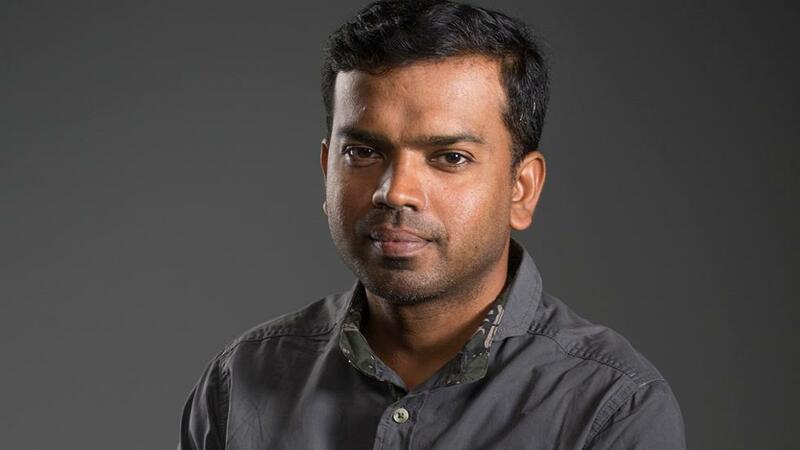 There’s so much to learn from nature, says naturalist Binish Roobas, who has seen his share of spectacular sunrises thanks to an ardent interest in spiders that are active early in the morning. 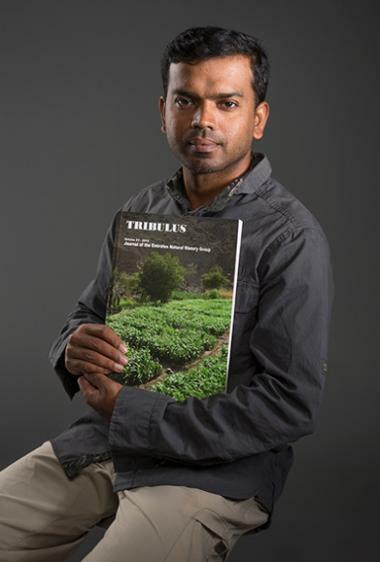 Binish has co-authored an introductory catalogue of spiders in the UAE — the first such catalogue to be produced. He is now working on a book, Butterflies of the United Arab Emirates. What got you interested in nature and wildlife? I grew up on the Agricultural University campus in Kerala, India, where my mother worked. The campus had large plantations and natural habitat areas and I spent a lot of time outdoors watching birds, reptiles and animals. Years later, when my zoology professor gave me a book on birds of Kerala, I learnt to put down a name to the birds I was familiar with. Participating in bird surveys also gave me more exposure in the field, and I soon realised this was my calling. Why did you choose to focus on butterflies? This was a lesser studied area compared to birds, for instance. K. Kunte’s Butterflies of Peninsular India introduced me to the distribution, ecology and behavioural habits and adaptations of butterflies in India. My interest in the subject expanded my learning further. After graduation, I worked as a naturalist at a bird sanctuary in Kerala where knowledge of both birds and butterflies was highly appreciated. How did your interest in the UAE wildlife scene come about? A financial urgency in the family brought me to Dubai in 2005. I worked in the hospitality industry for 11 years but kept my passion alive by visiting the Ras Al Khor Wildlife Sanctuary and chronicling the birdlife there. Becoming an active member of the Dubai Natural History Group and working alongside its chairman, Gary Feulner, took me back into the role of a naturalist. 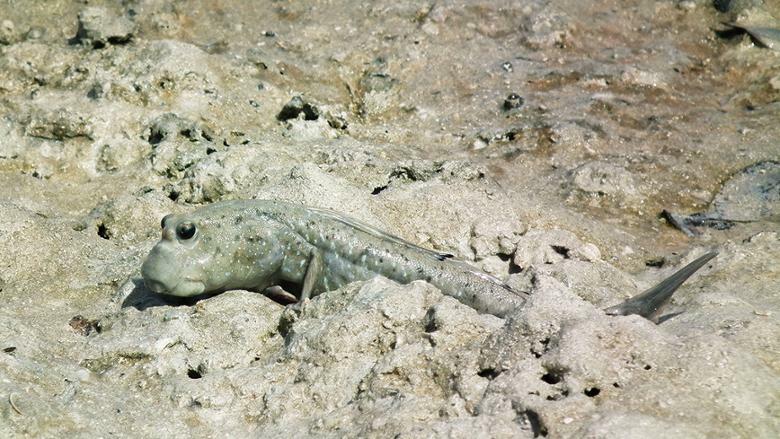 The turning point came when we discovered the Walton’s mudskipper in 2012, a fish that breathes and walks on land and was not spotted for the last 30 years. The photograph we took of it was the first confirmed image of the species in the UAE. It depends on what I’m looking for. For a general study on wadis or the mountain range, Gary and I start at 5am, as the birds are up early. By 10, when coldblooded creatures like dragonflies, butterflies and snakes emerge out of their slumber, we turn our attention to them. As naturalists, we study animals in the wild. We study morphology — the physical appearance of an animal; we study ecology, and also look at how they behave, what they do throughout the year. To do this, we visit the same area at different times of the year. Sometimes we stay up all night to study the nocturnal species. Thanks to my interest in spiders active early morning, I have seen plenty of breathtaking sunrises in the desert. 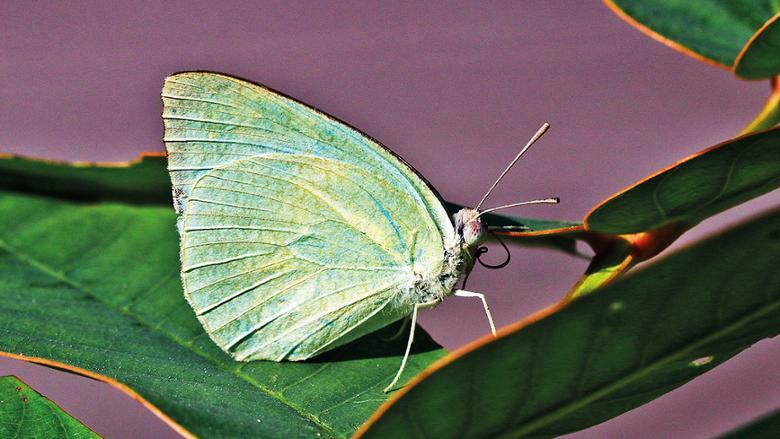 What is fascinating about the butterflies in the UAE? There are 57 identified species of butterflies in the UAE. Unlike tropical butterflies that readily get their food, partner, the right plant to lay eggs, and typically live for a month, butterflies in the UAE tend to live longer as they often have to wait for the rains, or search for the right plant to lay their eggs. Their life span depends on the time of the year, local weather conditions, and at what stage of life — larva or pupa or adult — the butterfly is in. 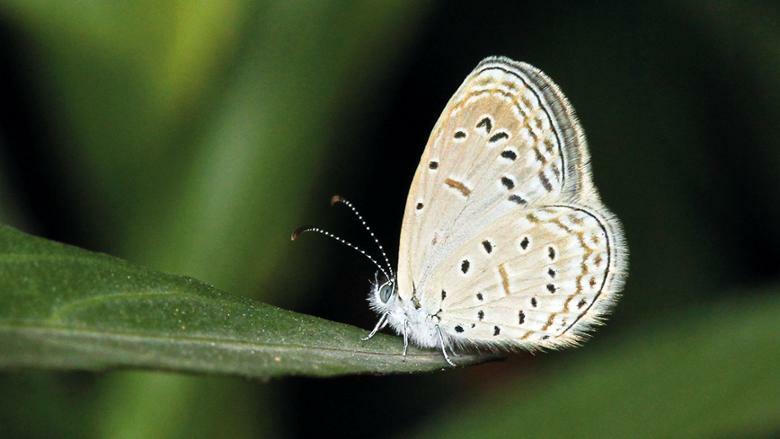 Last year Gary and I discovered two new species of butterflies that probably arrived here with plant imports — the Mottled Emigrant found commonly in India and the Tiny Grass Blue, a very small butterfly from the African and Asian tropics. Butterflies are not just pretty; they are indicators of a healthy environment. They are pollinators, help in natural weed control and are a food source for other animals. Their absence and shifts in behaviour indicate the presence of an underlying local environmental problem. What is most fascinating about creatures in the wild? That they never seem to have a bad day. If they don’t find a plant, they go looking for it. They always keep trying and stay positive, unlike humans. What aspects of human behaviour towards the animal kingdom do you find repulsive? Many of us think animals exist for our pleasure or benefit. That is completely wrong. I loathe the sight of people holding butterflies in their hands. These delicate creatures taste food with their feet. Since human hands are exposed to a lot of chemicals, it affects their taste buds and could be fatal to the butterfly. Holding their wings can also damage it permanently, affecting their ability to fly. We have to let them free. It is necessary for our environment that they exist. For queries on animals of the UAE, email binishroobas@hotmail.com.